We're announcing today that Chris Evans has signed a three-year deal to lead an all-new Top Gear line-up. 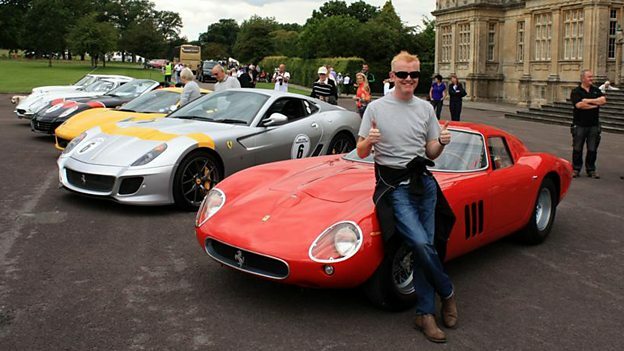 Chris Evans says: "I’m thrilled, Top Gear is my favourite programme of all time. Created by a host of brilliant minds who love cars and understand how to make the massively complicated come across as fun, devil-may-care and effortless. When in fact of course, it's anything but and that's the genius of Top Gear's global success. “I promise I will do everything I possibly can to respect what has gone on before and take the show forward." Kim Shillinglaw, Controller, BBC Two and BBC Four, added: "I am so delighted that Chris will be presenting the next series of Top Gear. His knowledge of and passion for cars are well-known and combined with his sheer inventiveness and cheeky unpredictability he is the perfect choice to take our much-loved show into the future. Chris is a huge fan of Top Gear and has great respect for the craft and work ethic of one of the best production teams in the world. He knows the phenomenal attention to detail it takes to make a single sequence of Top Gear, let alone a whole series. He is already full of brilliant ideas and I can't wait for him to get started." Production on the new series of Top Gear will start in the next few weeks and more information will be announced in due course. Top Gear is made by BBC Productions.